Active Joints. Youthful looking skin. Healthy connective tissue. 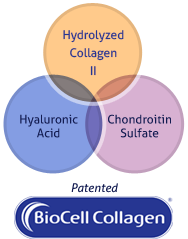 Millions of consumers have safely enjoyed the benefits of BioCell Collagen®, a clinically proven nutraceutical that provides a unique and highly absorbable matrix of hydrolyzed collagen type II, hyaluronic acid, and chondroitin - a patented combination essential for healthy joint, skin, and connective tissues. Wow! I have searched everywhere for a product to seriously help out my dull skin. I was originally skeptical when I heard about BioCell Collagen, but I am so glad I gave it a chance. I was directed to take 3 capsules a day and it turns out to be the best thing I could have ever done. Along with helping my dry skin, I have noticed the fine lines around my eyes, plus it seems to be improving the elasticity in my skin. This is the perfect supplement for anyone who wants to look better without having to waste their time and money on expensive cosmetics. 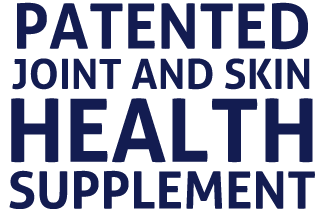 I am a regular user of BioCell Collagen, and ever since I started using your product I began receiving comments from my peers about how much younger I look. I used to suffer from dry and sensitive skin, but I no longer need my daily dry skin moisturizer. Thanks to your product I now look and feel younger. Our client, Mrs. May Brady, a retired dentist of age 80, has had many problems in her joints, knees, back, hands. Especially difficult was getting up from a sitting position, and walking was very uncomfortable. Also she is a very fine embroiderer, and was having difficulty with this. Within 2 weeks of starting BioCell Collagen, she was walking with no difficulty, able to rise from sitting position smoothly. She is glowing, excited, and repeats "It's a miracle!!" as she stands on one foot and repeatedly lifts her other knee to show off her new flexibility. She and her husband recently left for three weeks in Thailand. In March they will sail to Argentina, and in July they will go to the North Pole on an ice-cutter expedition. So you can tell how important your product is to keep them "on the move." Thank you. Dear Dr. Overberg, I want to thank you for finding the BioCell Collagen for me... After receipt of the product, I have been taking 2 capsules in the AM and PM with excellent relief. I had been taking Glucosamine/Chondroitin 1500mg/1200mg three times per day, I have now discontinued that. Finger flexibility/mobility is improved.